The Purple Japanese Honeysuckle is a trailing vine that grows quickly on a trellis or fence providing a sweetly-fragrant screen for privacy or shade. The Purple Japanese Honeysuckle is a deciduous vine in colder areas, and the leaves will emerge in mid- autumn starting out purple but turn to green. This vine can grow to a height of around 5 metres and a width of 3 metres. The Flowers begin to bud in late- autumn and continue to flower well into spring. 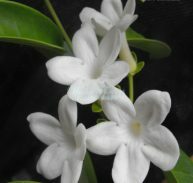 Flowers are up to 35mm long and are very fragrant. They are attracting to bees birds and butterflies. 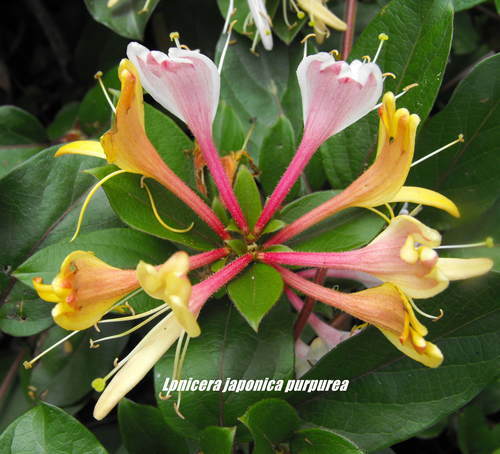 Japanese honeysuckle prefers sun to partial shade and will grow well in most soils.